The bare land in the foreground is the plot Markel | Eagle is eyeing for development. 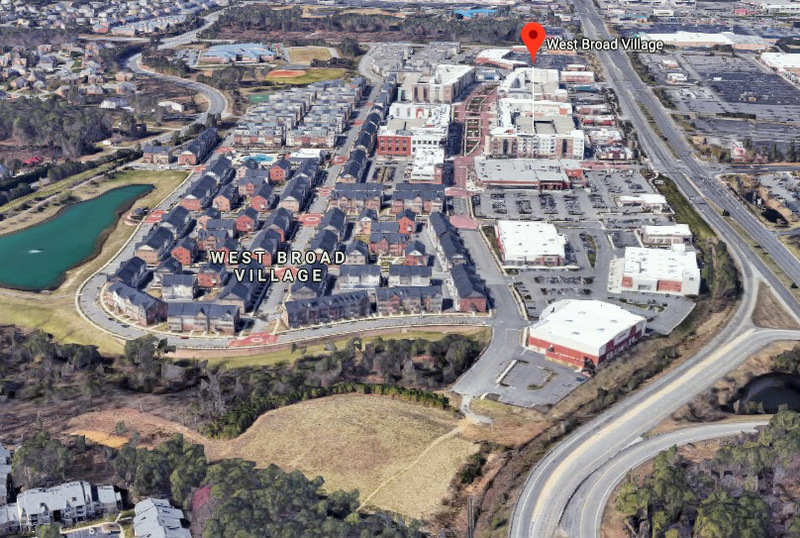 The final frontier of one of Short Pump’s largest mixed-use projects is back in play, this time for residential development. Local private equity firm Markel | Eagle is looking to rezone the 12 acres it owns at the eastern edge of West Broad Village, where it hopes to build dozens of single-family homes and condos. It’s the last undeveloped parcel in West Broad Village and the plans come as the bulk of the development’s commercial space is on the market for sale. The 12-acre site initially was approved more than a decade ago for a 300-room hotel, and 12- and 14-story office towers. But those plans were shelved during the Great Recession and never materialized. including developing a large percentage of the townhomes in the residential section on the project’s western side. 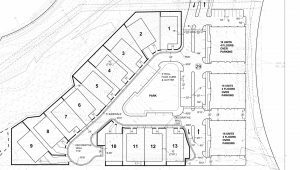 Eagle Construction submitted the rezoning application to Henrico County on Markel | Eagle’s behalf last month to change the land’s designation from commercial to residential uses. The project calls for the construction of 13 single-family homes and three, five-story condominium buildings with up to 16 units in each. 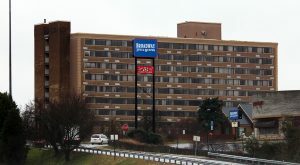 The new section would tie into West Broad Village’s Old Brick Road – its primary corridor – near the Golf Galaxy building that can be seen along the West Broad Street and Interstate 64 interchange. 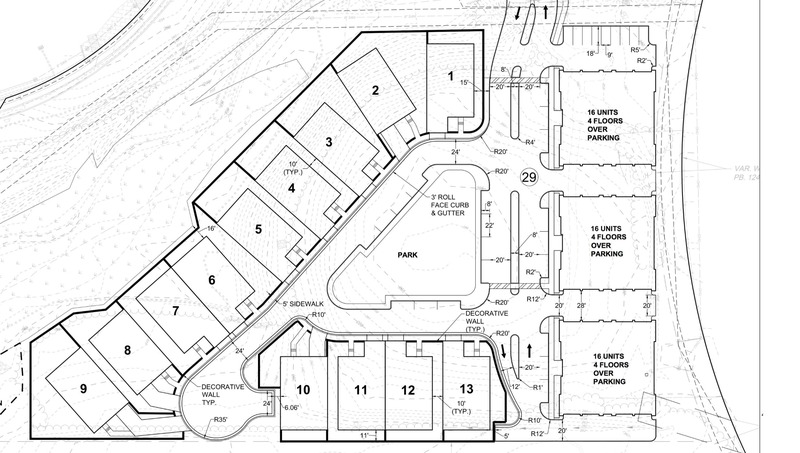 Laid out like a donut, all of the single-family and condo buildings will circle around a small park, the plans show, and include sidewalks and street-level parking. 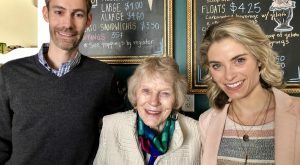 The single-family and condo units are a first for West Broad Village and Eagle Construction, which will be developing the new housing products, said Nathalie Croft, Eagle’s director of land planning. The three condo buildings each will include parking below four-stories of residences, Croft said. The 16 units per will average 1,600 square feet and include balconies. Each of the 13 single-family homes will be constructed as zero-lot line properties – meaning the houses will be built directly on or near the property line, which allows for minimal yard upkeep. 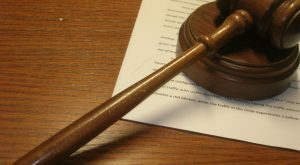 Prices for the single-family and condo units were not disclosed. 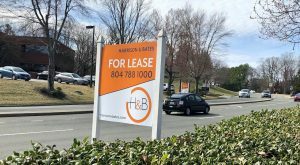 As for the potential sale of the rest of West Broad Village, the bulk of its commercial space is being sold in two separate offerings. That includes 400,000 square feet of the center’s retail space, such as the big retail boxes that house Whole Foods, REI, HomeGoods and Dave & Buster’s, along with the 339-unit Flats at West Broad Village apartment complex. Not included in the sale are the ACAC Fitness & Wellness, Golf Galaxy and Aloft Hotel buildings. Those properties all have separate owners. The seller is ShopCore, a Chicago-based REIT formerly known as Excel Trust. It paid $161 million for its share of West Broad Village in 2012, purchasing it from the project’s original developer, Unicorp.